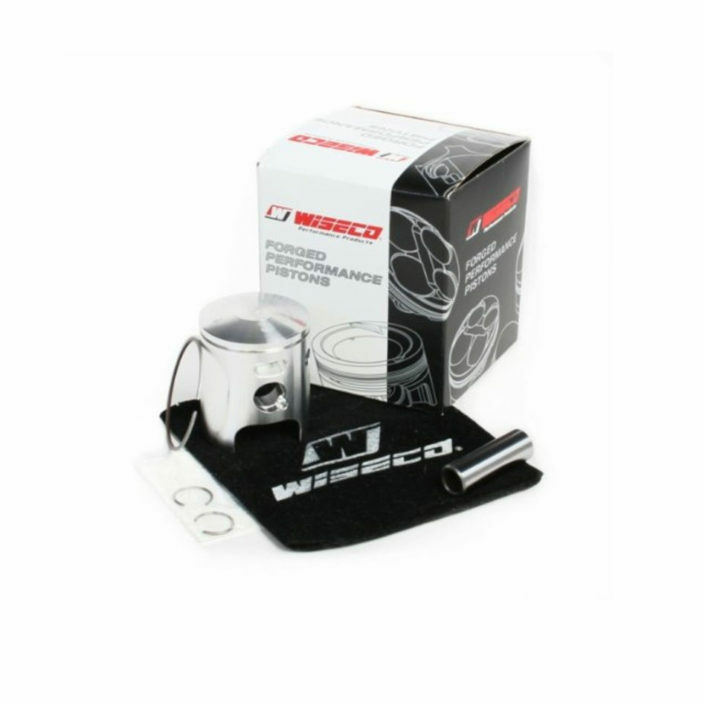 Wiseco leads the performance aftermarket by producing the highest quality forged pistons for Dirt Bikes, ATV’s, Snowmobiles, Outboard Marine, and Motorcycles in the USA. Wiseco is unique because we forge all of our own pistons in house, and produce all of our own forge tooling in the USA. This allows us to control all aspects of our manufacturing process from raw bar to skirt coating finished parts. In addition, in-house dyno testing gives Wiseco the ability to develop state-of-the-art technology such as new shapes, coatings, and components, and lead the industry through rigorous R&D. Linking all segments of Wiseco’s organization through design, testing, manufacturing, and distribution allows us to fulfill market needs with minimum lead-times. 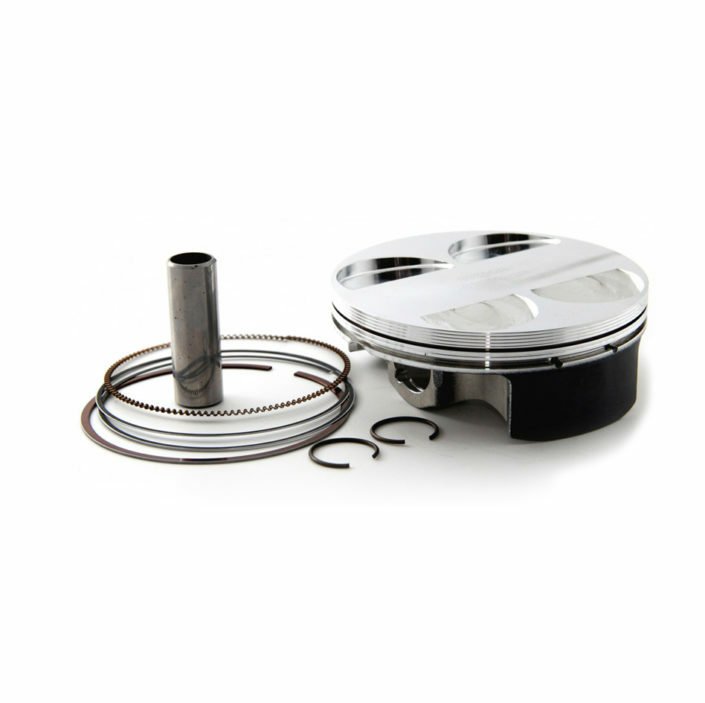 Extreme racing conditions demand the strength and toughness that only forged pistons can offer. Compared to cast pistons, forgings are tougher and more durable, and will stand up to the abuse that high performance motorsport applications require. Most castings are brittle, have no grain structure and tend to fail catastrophically when the material yield strength is exceeded. Forgings have condensed grain that is aligned to the features of the part, which produces higher mechanical properties, and resistance to impact and fatigue. Each forging is designed to optimize the strength-to-weight ratio, and maximize performance. Wiseco has been involved in Dirt Bike & Motorcross racing since it’s beginning and is still going strong by providing reliable race proven parts that offer better than OEM performance at a reasonable price. 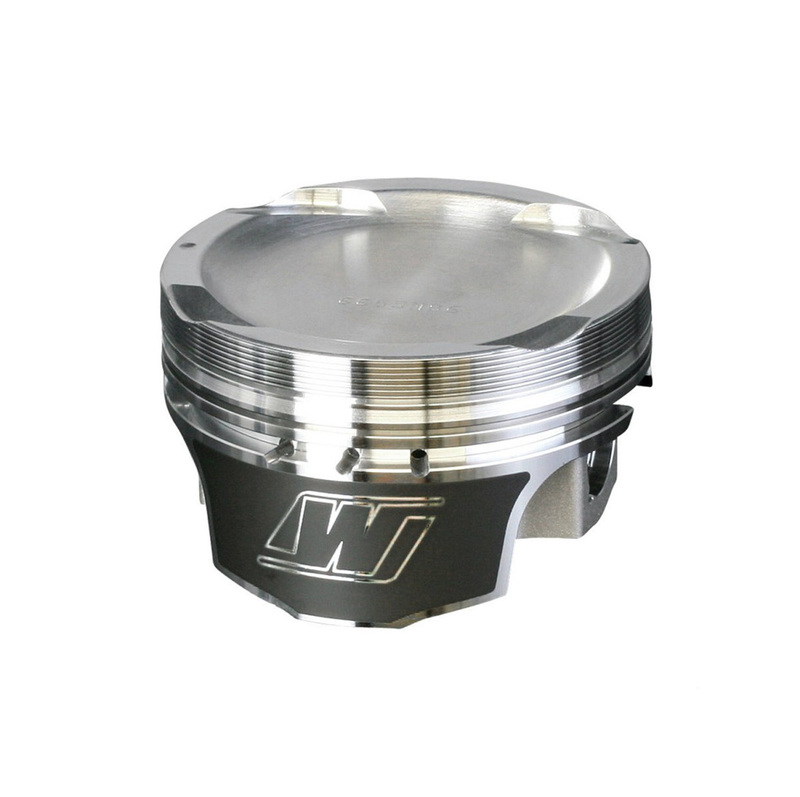 Extensive engineering goes into each forged piston and performance part to provide that extra push off the line for the professional racer or a little more top end for the weekend warrior. We offer Dirt Bike parts for Honda, Kawasaki, KTM, Suzuki, Yamaha and more! 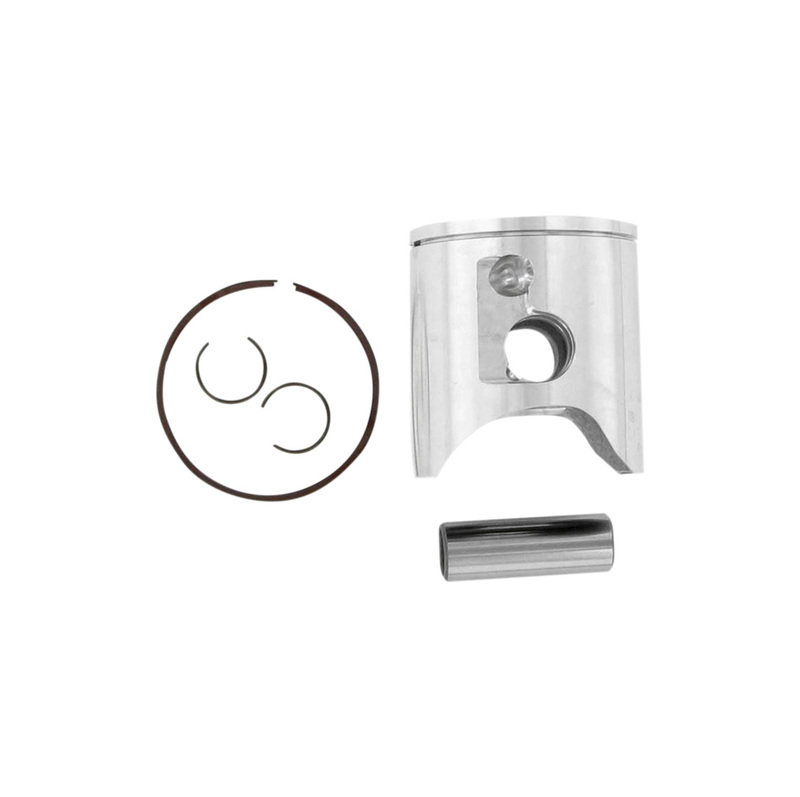 Precision Forgings, state of the art CNC finishing, ArmorGlide® skirt coating, complex dome profiles, and optimized shirt shapes are only a few features that make Wiseco forged pistons the best available. The same dedication and engineering go into our forged clutch baskets, camshafts, valves, crankshafts, connecting rods, and all the matching accessories.